Folding instructions: Fold opposite vertices on to each other. A discussion question: Check the angles of the triangle shape using your measuring tool. In this lesson the terms right angle,an angle larger than a right angle and an angle smaller than a right angle will be used. Answer: In this triangle there is one right angle and this shape is named a right angled triangle. המודד יסייע לנו לבחון את זוויות המשולש. A discussion question: Check the lengths of the triangle sides. Make use of the lengths of the folds. Answer: This triangle has two equal sides and is named an isosceles triangle. Folding instructions: Fold each acute angle on to each other. Folding instructions: Open the triangle into a square. A discussion question: Which are the different triangles that can be seen on the opened square? Explain. Answer: Right angled isosceles triangles. Check which triangles are congruent. Folding instructions: Fold one of the right angles as shown. The size of the fold can be different. Folding instructions: Turn over the shape. Folding instructions: Fold the side of the shape to the red line as shown in the animation. A discussion question: What is special about the marked triangle? Explain. Answer: The marked triangle is a right angled triangle with sides of different lengths. Answer: The marked triangle is an obtuse triangle with sides of different lengths. Folding instructions: Fold the marked side. Answer: The marked triangle is an acute triangle with all angles smaller than a right angle. This triangle also has two equal length sides and is named an acute isosceles triangle. Folding instructions: Fold the vertex of the acute angle as shown. A discussion question: What is the name of this new triangle that has been folded? Explain. Answer: The folded triangle is an acute isosceles triangle. Folding instructions:Fold the vertex of the acute angle as shown. Folding instructions: Fold the shape into two as shown. Folding instructions: Make this fold firmly and then pull out the small triangle. Folding instructions: Make the fold firm and then pull out the small triangle of the swan. A discussion question: What types of triangles can be found on the swan? Explain what you have found. Answer: Three different types of triangles which are identified by their side lengths and angles. Final activity: On a sheet draw triangles of different shapes. Classifying triangles according to the angles of the triangles. Identifying right angled triangles, acute triangles and obtuse triangles. Classifying triangles according to the sides of the triangles. Drawing and naming triangles according to both properties of sides and angles. 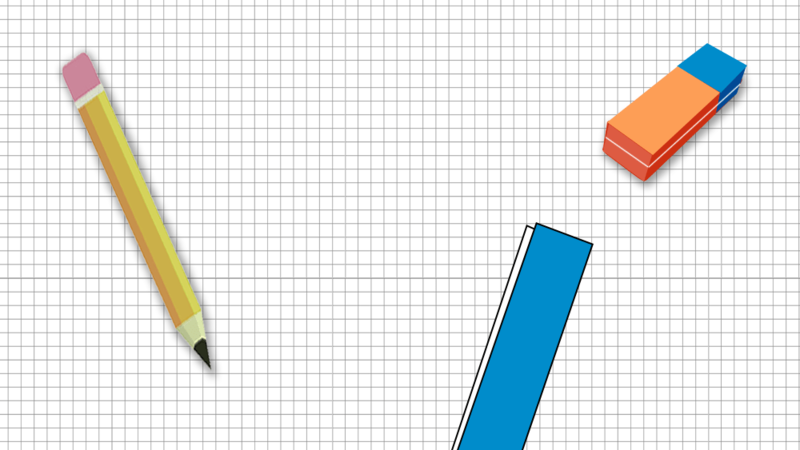 Measuring tool,composition and decomposition of polygons, polygons 3, parallel lines and sides,circle,mouse,visual representation of angles-measure of rotation,angled bird. 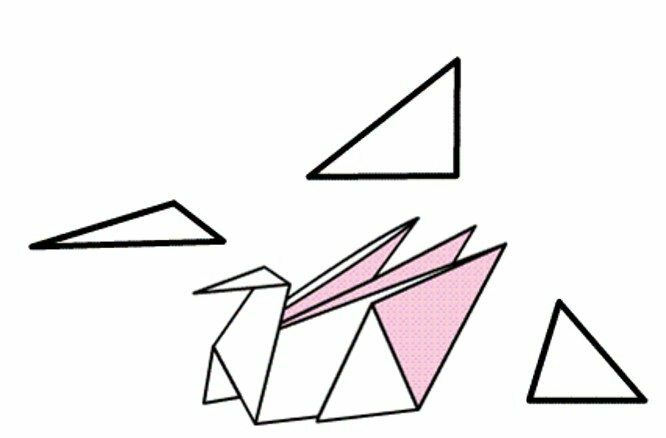 In this lesson pupilsinvestigate different triangles formed as a result of folding the model. A surprise final model using old and new terms for descriptions. The concept of a right angle and visual representation of an angle. The measuring tool and 15cm x 15 cm origami sheets.